‘Clown of the sea’ and ‘sea parrot’ are just two of the nicknames that have been given to Scotland’s most recognisable seabird. 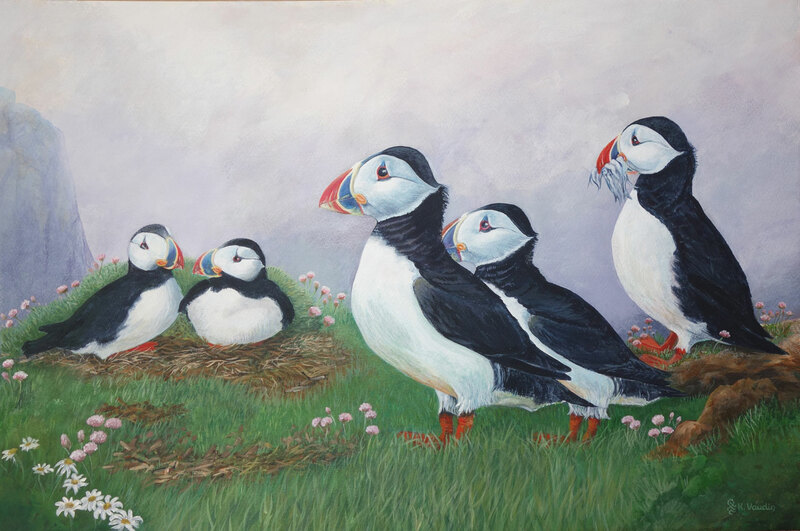 Puffins are small, rounded birds that belong to the Auk family. They make a great subject for a painting, irresistible.